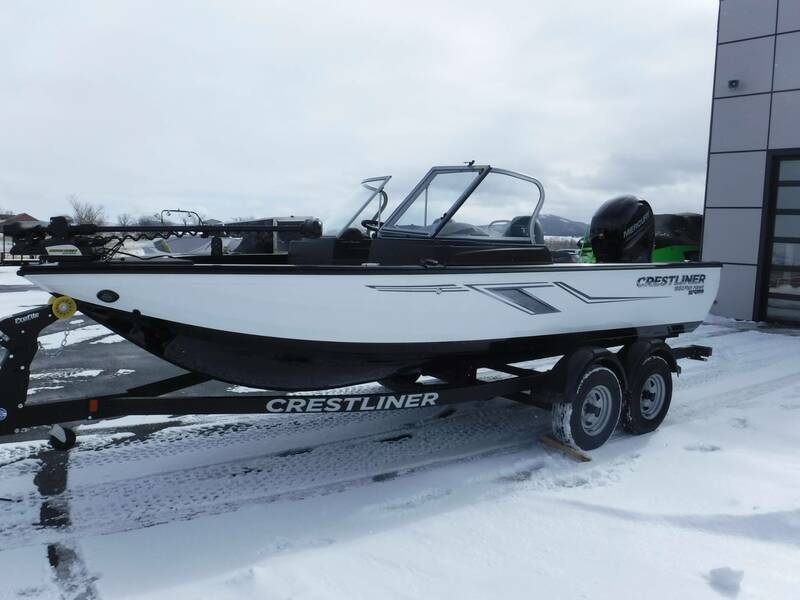 The Crestliner Reel Deal Sales Event is saving you an extra $850 on this model if you purchase by Mar 31st! 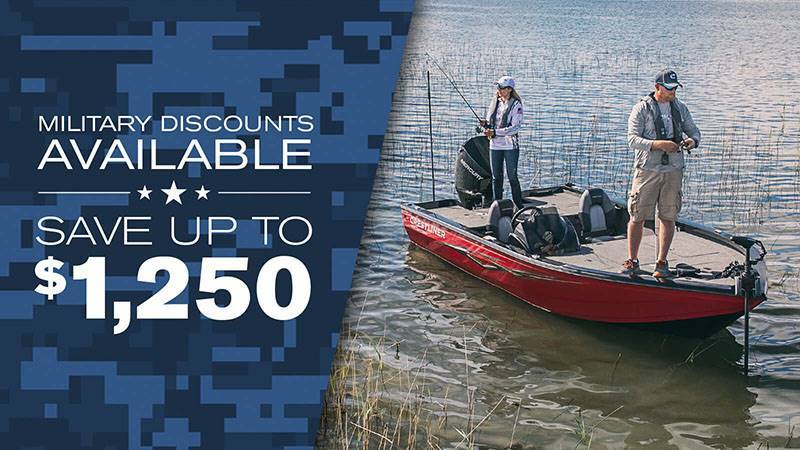 Ask about additional savings for Military members. 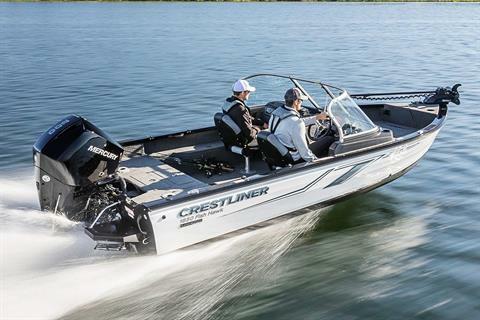 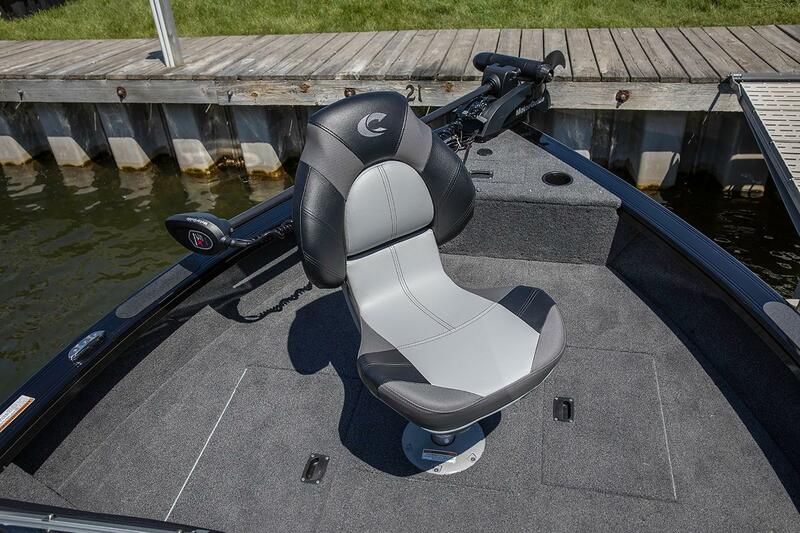 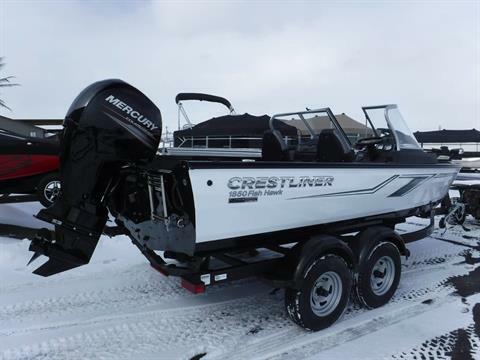 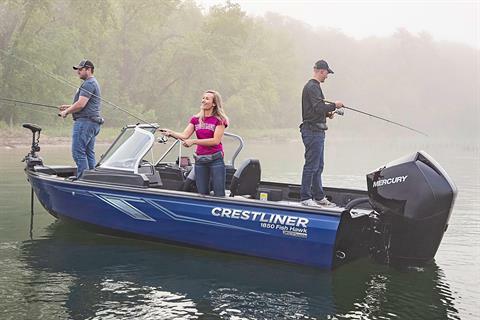 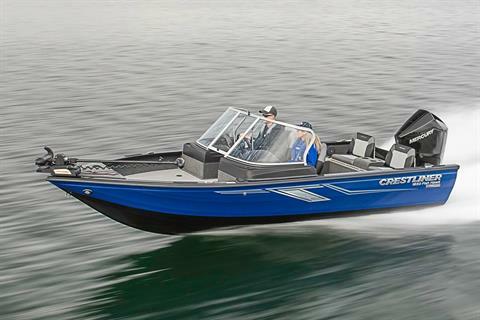 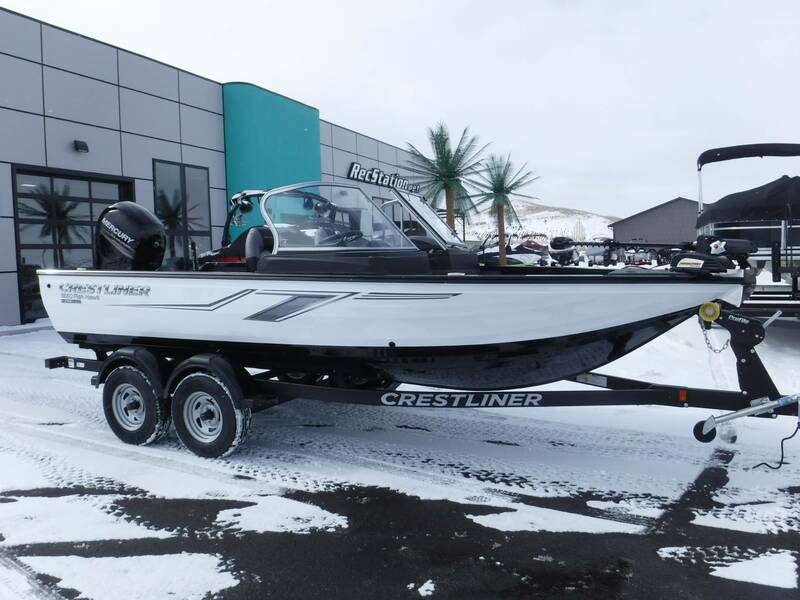 Take the Crestliner 1850 Fish Hawk on the water and you’ll quickly realize: This is no ordinary fishing boat. From the redesigned gunnel, to the comfortable new jump seat options, to the sleek new console with room to fit 12” electronics and multiple drinks, everything in our best-selling series has been reimagined. Even the paint. 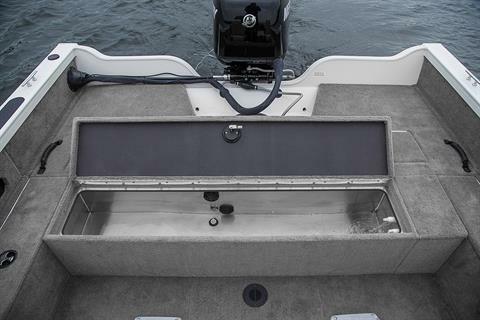 This all-welded aluminum deep-V hull boat is designed with the angler in mind to give you everything you could want for your day on the water, including the peace of mind that comes from the durability of Crestliner’s all-welded aluminum hull. 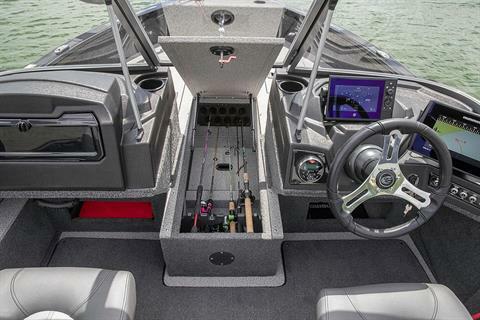 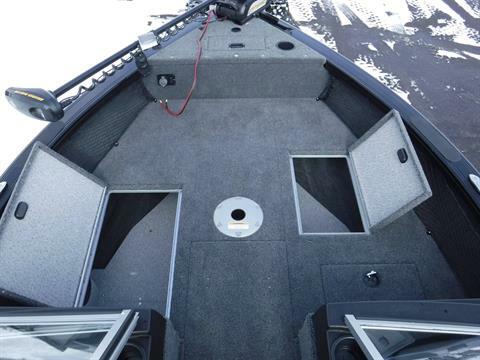 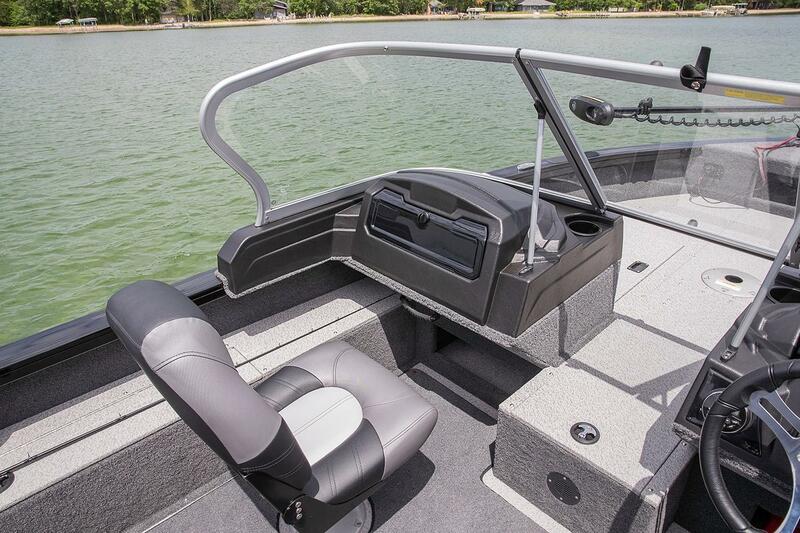 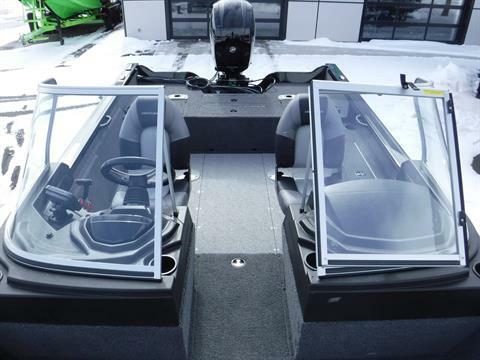 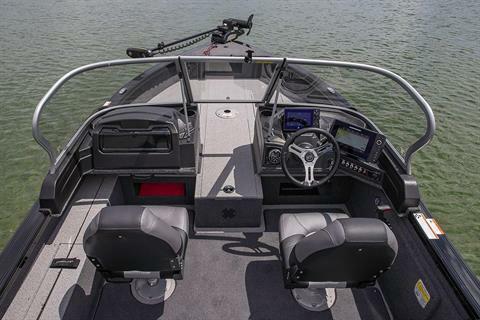 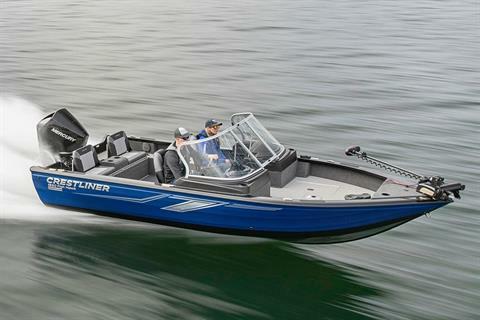 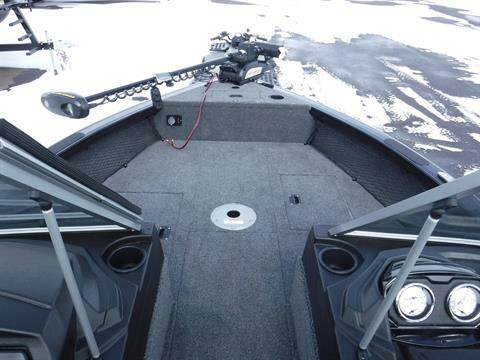 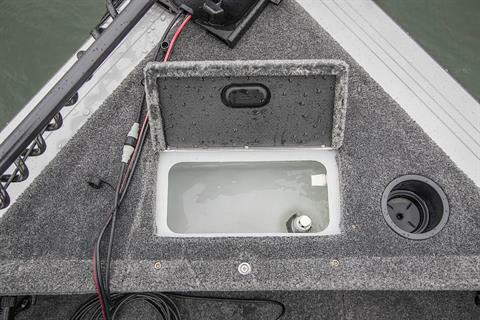 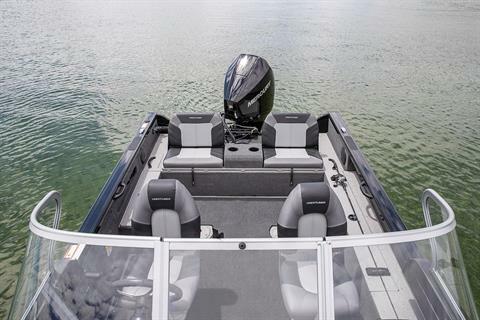 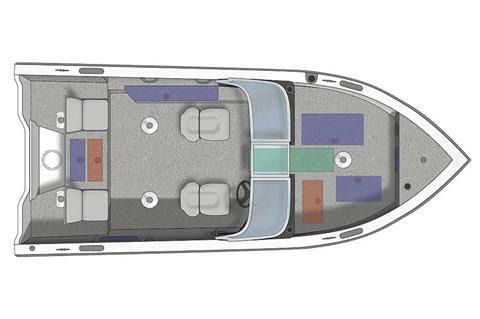 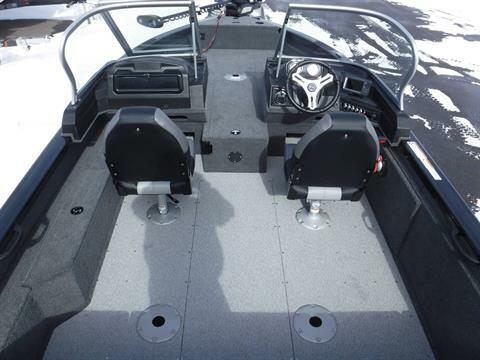 This boat can seat up to 6 people and features lockable center rod storage that can hold up to five 7’6” rods and five 7’ rods as well as having multiple compartments below for batteries and storage. 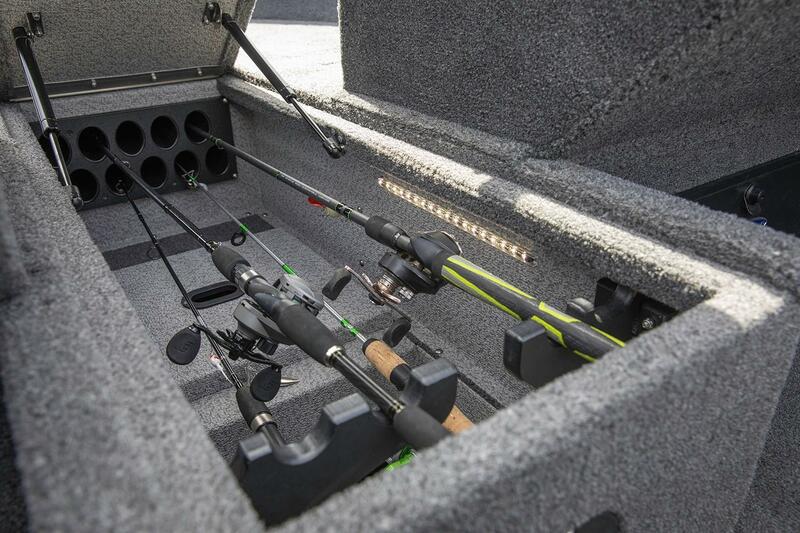 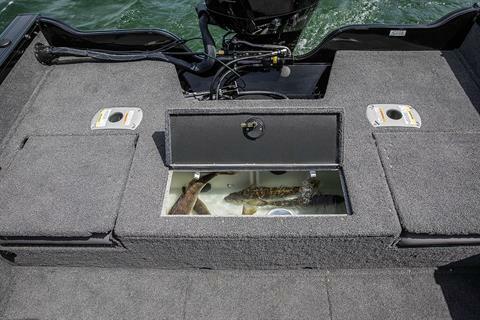 With a 15-gallon aerated stern livewell and a 12-gallon aerated bow livewell, you’ll have all the storage necessary for your rods and whatever you catch. 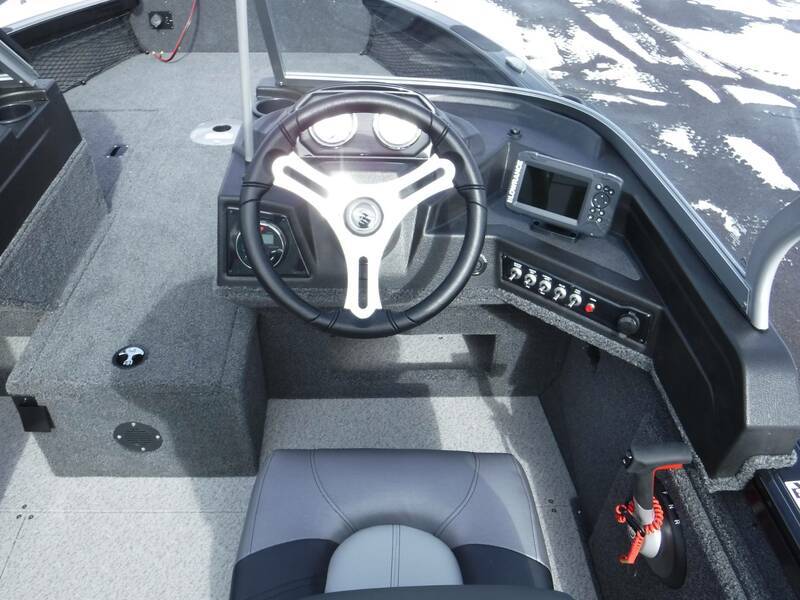 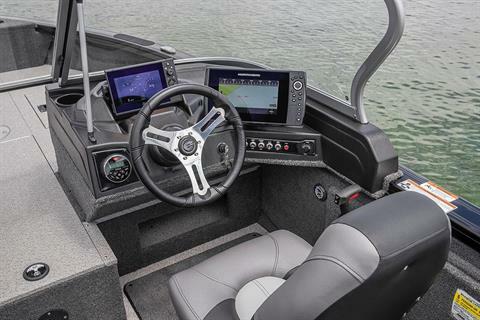 This one features hydraulic steering with a tilting stainless steel upgraded steering wheel for easy steering at speed-- hands down it's much better than the stock steering option. It also has a vinyl cockpit floor plus vinyl covered decks for easy cleanup. 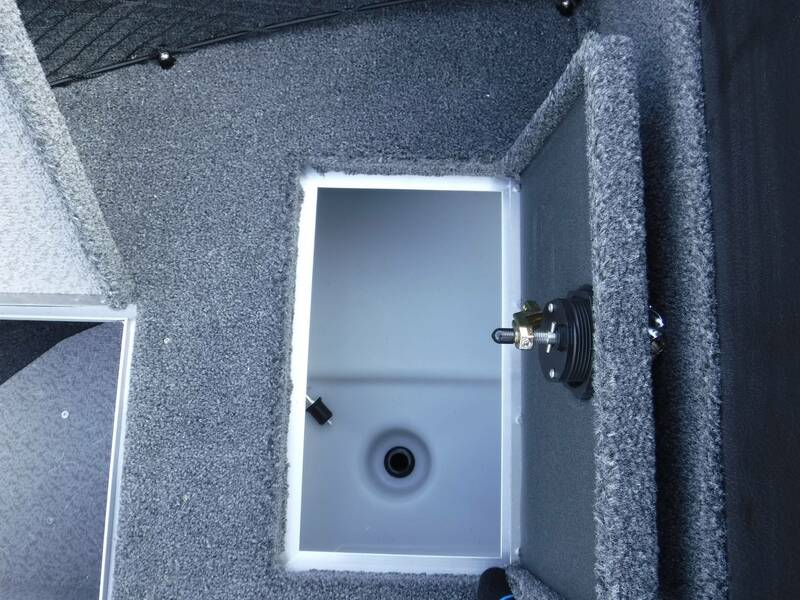 Other options already included: easy access fish ruler, aerated bow baitwell, bow cargo nets, , and a Washdown System w/ 20' coiled hose. 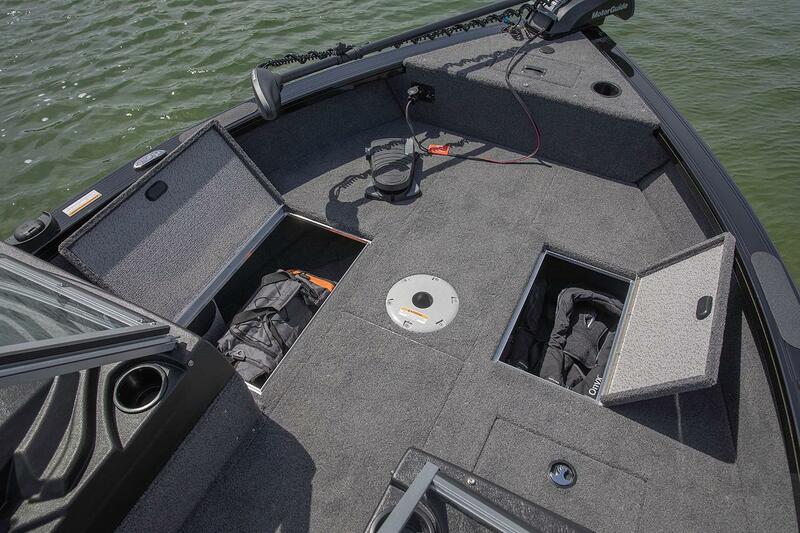 It is already decked out with a premium electronics package! 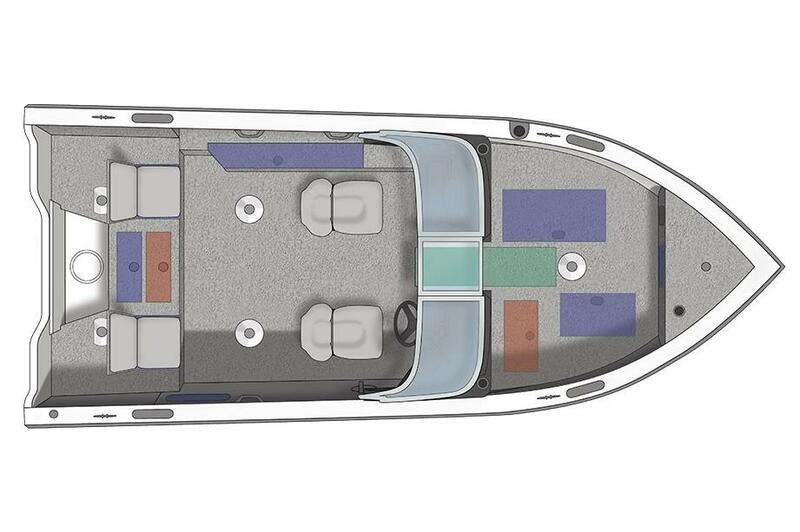 Here's what's included (changes are accepted! 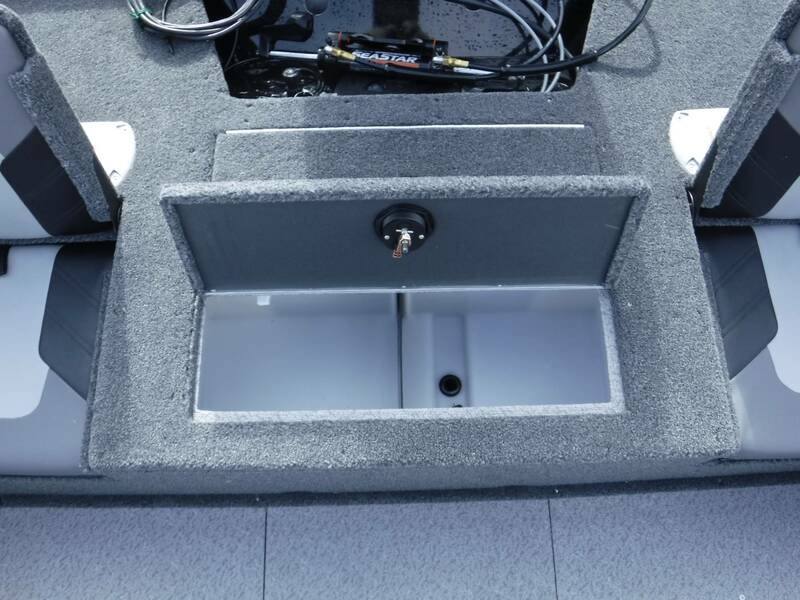 Call): A color Lowrance Hook2 5" GPS FishFinder, a 24 volt Minn Kota Terrova 80 Trolling Motor with iPilot, installed with a removeable bracket,(2) Interstate batteries, and a on-board charging system with plug-in and circuit breaker! Ready to fish! We've packaged this one with the Mercury 150 XL 4-stroke motor. Yes, it has hydraulic steering with tilt. 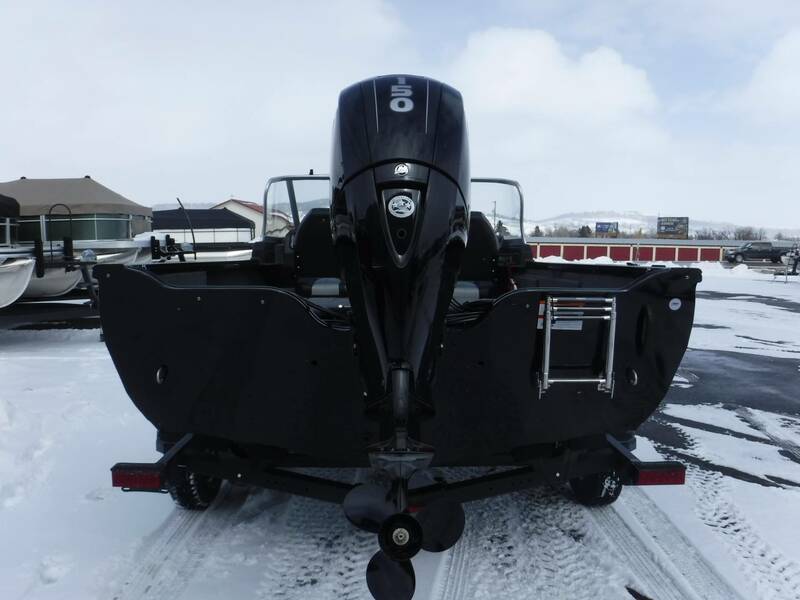 Upgrade to the 200 XL Fourstroke for $4799, or downgrade to the 115 Fourstroke and save $2000 (based on in-stock availability). 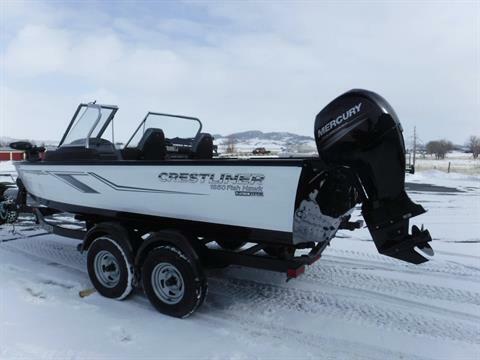 This one is priced with a tandem axle trailer with brakes and the toughcoat finish. 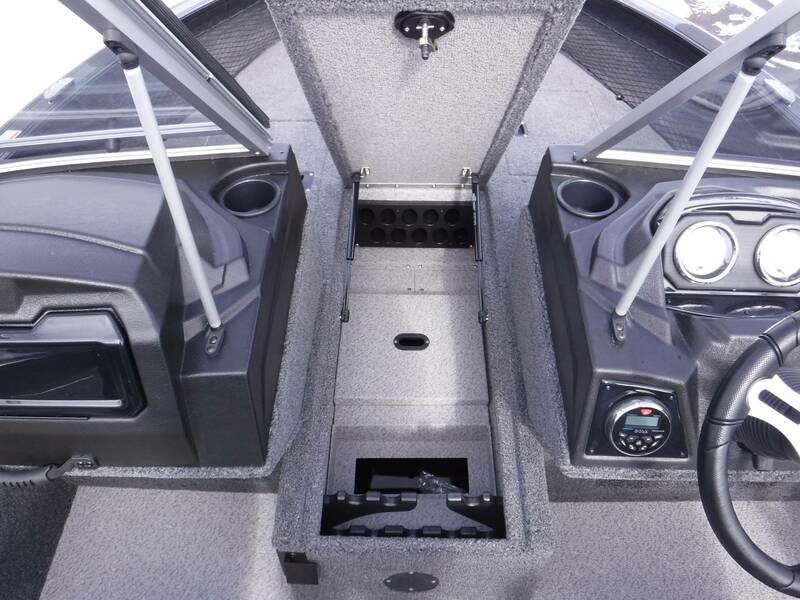 This model features swing-tongue for garage storage, LED lights, and radial tires. 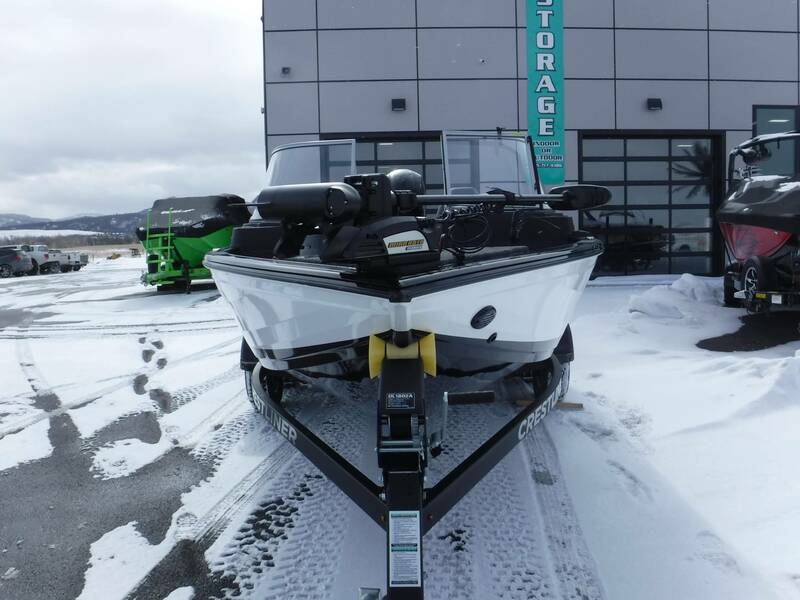 You can downgrade to the standard single axle trailer for $400 less if you prefer (based on availability), or opt for a Pre-Owned 2017 Single axle trailer that we just took on trade for a tandem, and save $900. 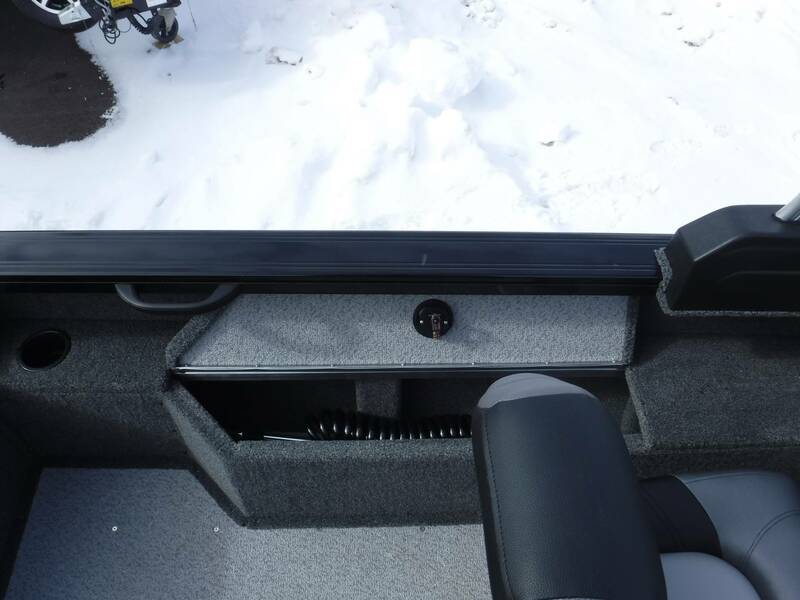 Add the custom snapless travel cover for $999! 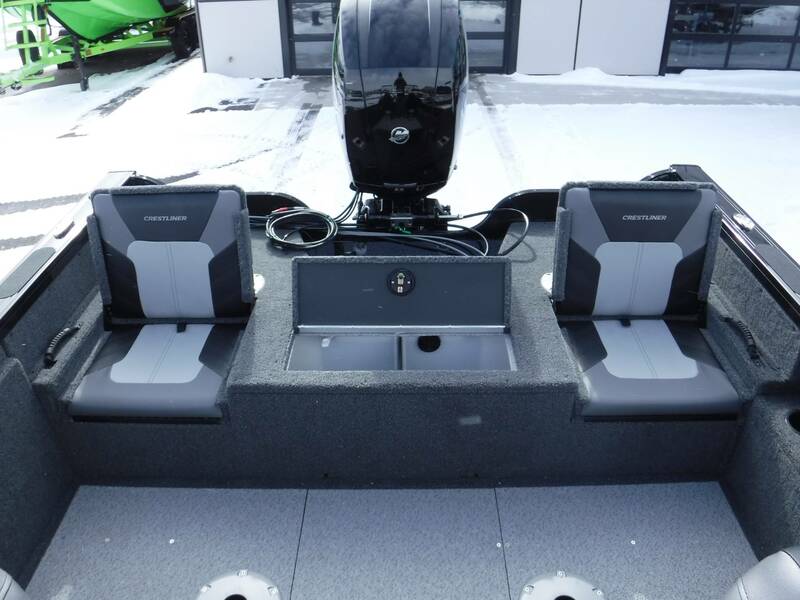 $995 freight charge will be added to sale price. No other fees or charges.